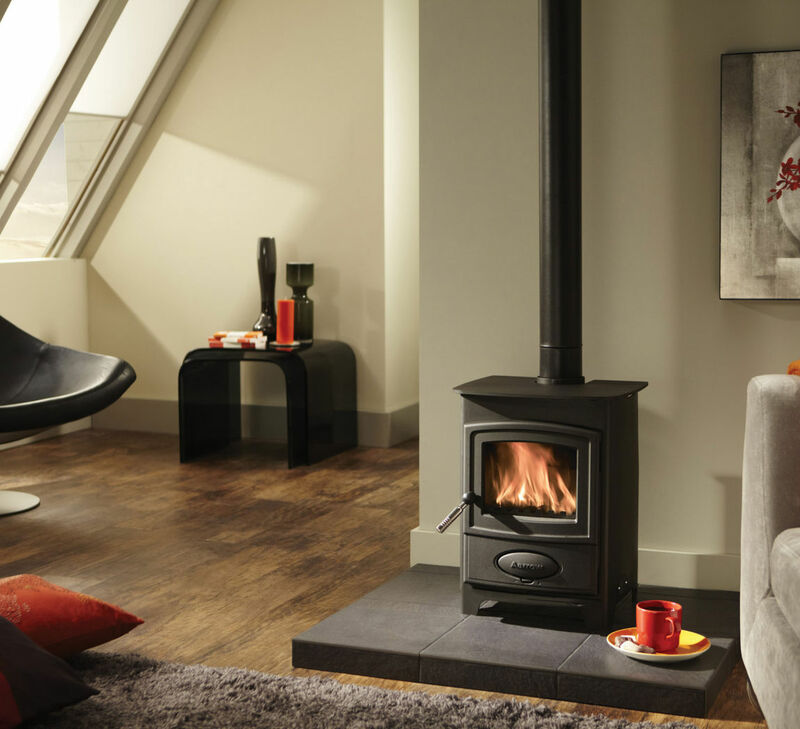 The Aarrow Ecoburn 5 stove is the smallest in the Ecoburn range of Aarrow stoves. There is one door on this model which has a glass panel in it with a gentle curve to the top. There is a primary and secondary air supply. The primary air can either be supplied below the grate when coal burning or above the firegrate for wood burning. This stove has an optional stand & you can also get a high or low canopy for it. Stove expert replied: Great review, removal of internal parts can be difficult and dirty especially once the stove is in use, but a tight fit means the parts usually stay in place. Stove expert replied: Restricting the airwash will mean less air washing over the glass and hence it discolours. Great stove, very pleased with it. 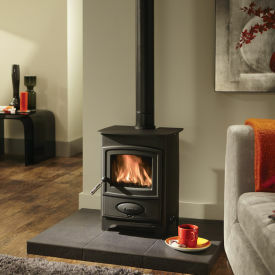 Stove expert replied: Household coal is not recommended on closed appliances and smokeless fuels are what should be used. Small stove but good heat being produced. Very cost effective.